Brilliant penultimate day's walk capped by some wonderful Hungarian hospitality and kindness. Now I'm so close to Budapest I'm just slightly anxious that something might go wrong. Nerves were definitely stretched walking up the sunken road just out of Mogyorosbanya when a guy on a motorbike comes hurling down the trail, round a corner and finds me. Think he was the more frightened, perhaps because he knew there were another two bikers right behind him and he didn't want them tangling with him as he struggled to avoid me. He rams into one wall of the sunken road while I pin myself against the other. He somehow stays vertical and without stopping all three continue their high speed descent. Alls well that ends well but very scary. 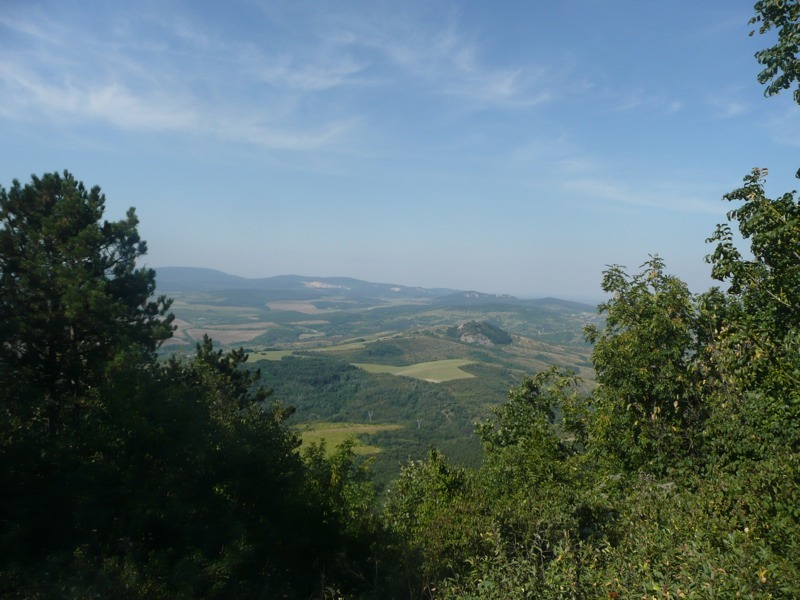 Having survived the motorbikes was rewarded at the top of the little summit of Koszikla with views across the Danube valley into Slovakia. Wasn't able to get hold of the next map so not entirely sure what I was looking at towards the north-east but there was a city with a large building in the middle of it with a dome. For a second I thought it was Budapest, but only for second. 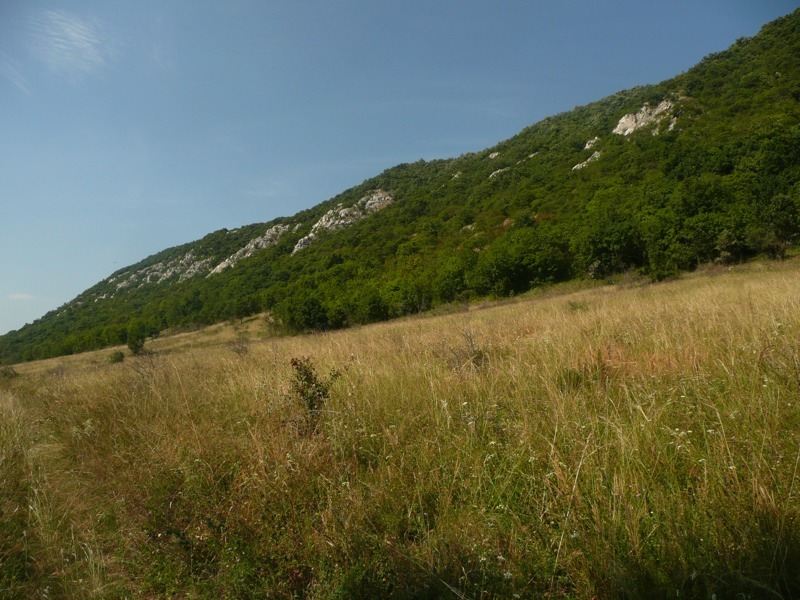 The walk then went down into a valley (saw my second Hungarian shepard) and up another little summit and down to the village of Tokod (first ice cream of the day). I then had a really steep climb up to the top of Nagy-Gate. Perhaps only a couple of hundred metres of actual climb but seem to have lost the hill climbing technique I developed in the Alps and was trying to go up far to fast. Although it was a bit misty today the views, particularly back to Geresce, were really good. Then down to Dorog, a big town which I managed to get through by following the blue signs - in one side and out the other - with a second ice cream stop on the way. After about four kilometres, and having gone through the village of Kesztolc, I was into what I thought was the nicest part of the day. 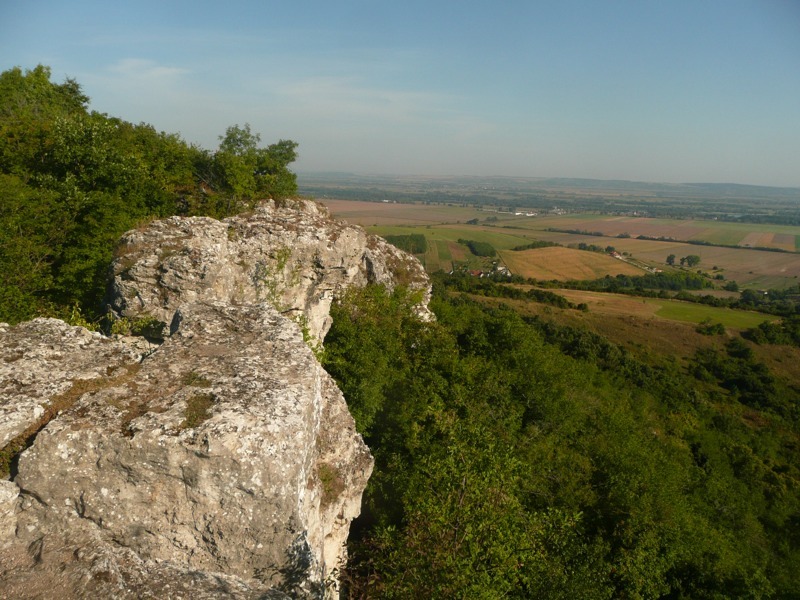 Lovely walk through wild meadow under a long limestone ridge, a nice fresh breeze, and great open views to the west. Accidentally followed some green and white signs and actually climbed up over the ridge before I realised my mistake. 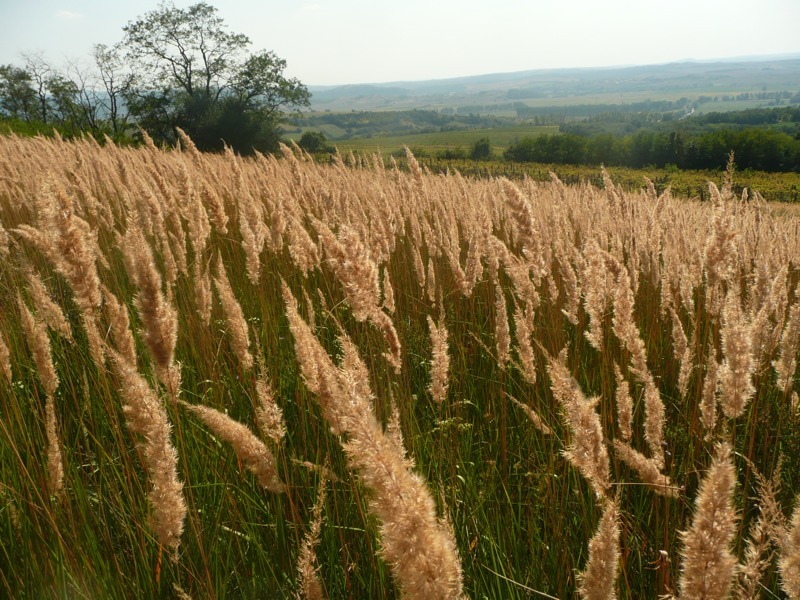 Had been advised that there was no accommodation in Piliscev so planned to stay Klastrompuszta. Unfortunately the guesthouse was full. The landlady tried to contact an address in Piliscev but with no luck. She gave me the name of the place and after getting to the village, wandering around aimlessly for a bit, a man in a bar gave me some instructions. When I found the place, the Kelemen Majorsag which was right on the eastern edge of the village, it was a goat farm (although it had virtually every farm animal other than cows) whose accommodation is still in the process of completion. They were expecting me however, the landlady from Klastrompuszta had made contact, and I got really well looked after. 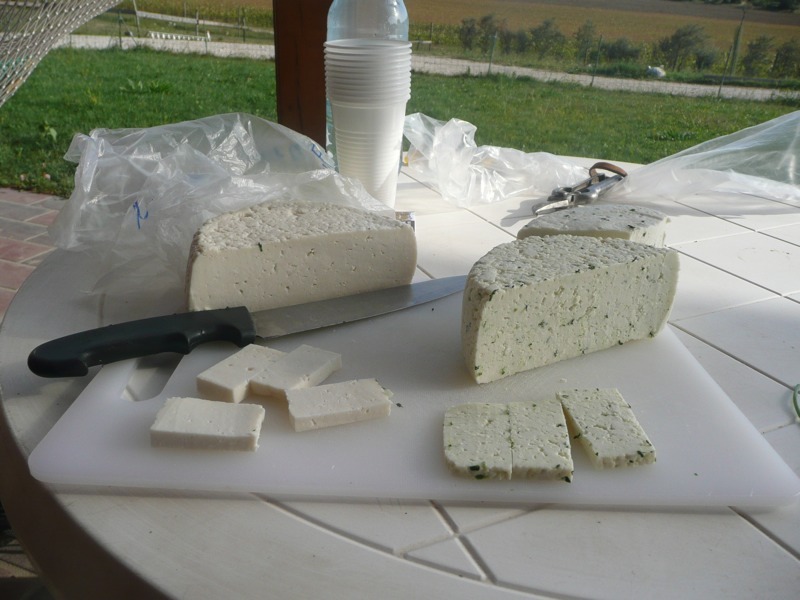 The Kelemen Majorsag makes artisan goats cheese. They have converted an old farmstead and it's a venue for people to visit farm animals as well as buy the produce. I had loads of cheese, and I love goats cheese, but the revelation was the goats milk. I had always assumed that it would taste a bit goaty, like the cheese, but not a bit of it. It was like a lighter and somehow fresher than cows milk and chilled was absolutely perfect on a hot day. After getting the full tour of the farm I was also treated to a brilliant dinner. Chicken in a soup with small light dumpings, and then for the main course your ate the chicken meat from the soup with a thick tomato/pimento sauce and a sort of ratatouille. I love this sort of food, but my wife Christine would have gone nuts for it. As their rooms were still being finished they had arranged for me stay in a lovely place in the village, which I think is a converted wine warehouse. I think the people who own it are friends and, as far as I can tell, no one seems to want any money. Absolutely wonderful - I'll be able to make a contribution to my charity. Last day tomorrow and the walk into Budapest. I'm being joined by one of the guys who I met last Saturday, a former Hungarian long jump champion (Csaba Almasi) and we are stopping of for lunch at some of his relatives. Top marks for Hungarian hospitality.